Information and communications technology (ICT) can reward those who use it well with increased economic opportunities and income, better quality of life, and cultural and political advantages. Those who do not use it are left behind, and ICT disparities exacerbate existing inequities. Many governments, development agencies, and community organisations have responded to this problem with public-access projects aimed at bringing technology to disadvantaged countries and communities. Frequently these projects set up computer labs with Internet connectivity in public spaces like schools and community centres, targeting people who may never own a computer or use one in their workplace. Given the practical realities faced by these public-access projects, the type of technology used can be a make-or-break factor in their success. It is crucial that the decision-makers behind these efforts carefully weigh the pros and cons of different technology solutions, make informed decisions about the design of public-access computer labs, and make smart choices about how to balance spending limited funds on things like computer hardware, software, and Internet connectivity. In this context, the choice of software implemented in public computer labs is a core issue, one which has been the subject of considerable debate in Africa recently. The decision about whether free/open source software or proprietary software is implemented in a computer lab is one of many important decisions faced by public-access projects. What kind of software is best for public-access computer labs in Africa? This seemingly straightforward issue is a point of contention for many. • Free/open source software (FOSS). Some argue that free/open source software is the best choice for public-access projects because of its low cost and the associated benefits it brings to society and the economy. This kind of software is distributed together with its underlying source code, under a certain kind of copyright. FOSS copyright licenses allow everyone to read, modify, and redistribute the source code, so programmers can improve and adapt the software, and fix bugs. And the software can be shared with others, so users can give it to their neighbours, colleagues and friends. Some FOSS licenses prevent software developers from distributing their modifications and additions under a non-FOSS license. However, these restrictions have no impact on end users, who are the focus of this study. • Proprietary software (PS). Others maintain that proprietary software is a better option, arguing that it offers comparable benefits and that there is more to the cost issue than meets the eye. Proprietary software is privately owned and controlled, usually by a company. The owners of proprietary software hold a copyright that awards them the exclusive rights to publish, copy, modify, and distribute the software and they usually keep the source code hidden. Most proprietary software companies sell an “end-user license” that defines how people are allowed to use the software on their computers — for example, only allowing non-commercial uses, or restricting the user’s ability to share the software. • The choice of software raises a number of deep (and often divisive) issues. A polarised debate draws on complex cost-benefit analyses and philosophical underpinnings. Well-intentioned public-access projects — some ignorant of what is at stake, and others overwhelmed by the magnitude of the discussion — get caught in the middle. And decision-makers are urged to choose. The Comparison Study of Free/Open Source and Proprietary Software in an African Context was undertaken in 2003 by bridges.org in collaboration with SchoolNet Africa, the International Development Research Center (IDRC), and Open Society Institute (OSI). The study looked at the software environments in public-access computer labs in Namibia, South Africa and Uganda, and examined the factors that affect software choices, the realities of the current situation in Africa, and the long-term implications of software choices for Africa, considering both ground- and policy-level issues. It is the first study of its kind in Africa. 2. To inform decision-making so as to optimise public-access to ICT in Africa. The research methodology for the study was developed from a combination of literature review, impressions collected during an initial scoping study, and application of bridges.org’s Real Access/Real Impact framework. The report’s findings are based on quantitative and qualitative data collected in 2003-2004. Researchers visited 121 computer labs, collected information from lab staff through a comprehensive questionnaire, and interviewed lab managers and policy-level decision-makers. The collected data was analysed by an outside statistical consultant and combined with background research where appropriate. This report presents the findings of the study, providing objective information intended to inform decision-makers in Africa and beyond. This report is targeted to both policy-level decision-makers and managers of computer labs, but it may also be relevant to the interested layperson. While the study was designed to produce results that would be as broadly applicable as possible to a wide array of countries and settings, practical limitations required a focus on a few representative countries: Namibia, South Africa, and Uganda were selected. These three countries offer a diverse environment in terms of awareness levels, the interest and involvement of the private sector and civil society, and the positions governments are taking. Namibia has more FOSS computer labs in schools than any other African country, yet the Government is involved in a strategic public-private partnership with a multinational proprietary software vendor. The South Africa Government has developed one of the few official government policies regarding software choices and many Government officials have expressed their support for FOSS. At the same time, the President has accepted one of the most comprehensive proprietary software donations to schools in the world. In Uganda, the Government has not developed a clear position on the issue of software choices, but is conducting a teacher training programme that is based on proprietary software applications; there are some strong supporters of FOSS in academia and among smaller ICT businesses, but the industry as a whole is dominated by proprietary software companies. The majority of the computer labs visited in this study have only the minimum infrastructure and equipment necessary to make the operation of computers possible. The size of labs varies widely depending on their economic situation and the source of donations; some of the more affluent labs have 30 or 40 new computers, while poor labs may only have two or three PCs, which are often second-hand or refurbished. Most computer labs have at least a minimum level of security and furniture, because many donors require these kinds of basic provisions to be met before they will donate computers to a school. It is rare to find air conditioning or even fans being used to cool the labs, and sometimes a heavy price is paid for not sealing the room against heat and dust. In addition, poor electric and telecommunications infrastructure is a problem, especially outside of the main towns where frequent electricity failures and unreliable telephone lines are common. • Self-sustainability: a critical factor for computer labs. • Both free/open source software and proprietary software can be used to offer technology solutions appropriate for African public-access computer labs. • The thin-client model provides a reliable, cost-effective and popular solution for public-access computer labs in Africa. • Software license costs for proprietary software are significant in principle, but in practice they are not borne by many of the public-access computer labs in Africa. • At ground level in Africa, the potential for cost savings gained from the use of FOSS depends on many factors. • General ICT skills levels — especially for installation and maintenance of software — are low overall, and experience with proprietary software is more pervasive. • Training courses for PS are more widely available than for FOSS. • The fact that FOSS makes source code available and encourages modifications is not exploited by the vast majority of public-access lab staff or users in Africa because they lack the necessary skills. However, it does offer an opportunity for local service providers to create customised applications. • The availability and quality of local technical support in Africa (for both free/open source and proprietary software) is reasonably high overall, although FOSS support tends to rely on free services. • While there are a number of projects underway to translate software into African languages, these localised versions are not yet widely used in public-access labs and there is some disagreement about the value of local language software. • Most FOSS labs in Africa are set up and supported by a small group of enthusiastic implementing organisations, so the success of FOSS labs relies heavily on their efforts. • General trends with regard to economic situation, age of the lab, and staff experience can be identified among labs that use the same type of software. • Financial constraints are the key obstacle for African public-access labs, regardless of whether they are using free/open source or proprietary software. • With only rare exceptions, the current models for public-access computer labs in Africa are not self-sustainable, regardless of whether they are using free/open source or proprietary software. Linking sustainability with the effective delivery of social services could make public-access labs worth subsidising over the long term. • Overall, local lab staff members lack the skills and expertise to help users and communities realise the potential benefits of computers for their lives. • Most African public-access computer labs lack a full understanding of their users’ needs. This also reduces the labs’ opportunities to charge for services. • While the limited number of locally-relevant applications is an issue in some African public-access labs, the overall lack of awareness among lab staff about software alternatives is a more significant factor limiting the availability of locally-relevant applications. • Confidence in and enthusiasm for certain kinds of software are important success factors for public-access labs in the African context, but many are hindered by the effects of low levels of technical expertise among staff and users. • In addition to cost and lack of awareness, the absence of effective local channels for obtaining software make procurement difficult for many public-access labs in Africa. • The availability of effective technical support (to ensure that the computers remain operational) has a significant impact on the success of public-access labs, but support for proprietary software (usually commercial technical support) is more readily available in Africa than support for free/open source software (usually non-commercial technical support). • Local staff and users are rarely involved in the software choices made in African public-access labs. Computer labs in Africa are faced with very significant obstacles to providing public access to ICT in the communities they serve. The software choice is one important decision, which is intrinsically linked to cost, technical support and many other factors that determine a lab’s success in the short and long term. Pragmatic choices are necessary to overcome these obstacles and ensure that people are able to use ICT effectively to improve their lives, especially those users whose only opportunity to access ICT is through public labs. The following recommendations are directed to the staff and managers of public-access computer labs in Africa, with the intention of focusing their attention on the most critical areas related to the effective choice and implementation of software in their labs. • Analyse user needs by listening to your stakeholders and educating them about the possibilities that computers offer. • To the greatest extent possible, provide software applications that are the most relevant in the local context. • Ensure that the lab has access to appropriate, affordable, and effective technical support to keep the computers operational. • Do not let persuasive sales pitches or strong advocacy make the choice of software seem like it has to be an either-or scenario: consider a mix of FOSS and PS if that best suits lab needs. • Keep it simple by using standard software applications, and make the most of staff experience. • Be smart about proprietary software donations, and consider both short- and long-term costs and benefits. • Analyse all costs associated with owning and using software over the short and long term, and within the context of the particular lab and the local economic environment. • When making software choices, choose reliability and stability over functionality. • Balance the cost and effort required to upgrade software with the expected benefits to the user. If the lab chooses free/open source software, the incentive to use the latest versions of applications might be higher, due to frequent improvements in usability, functionality and reliability. Regardless of the type of software chosen, always apply the latest patches and updates. • If the lab chooses the Microsoft Windows operating system, adequately protect computers against viruses and other malicious code to minimise support costs. • Allow only minimal access to the system configuration to avoid users making changes that could cause computers to stop working. There are various decision-makers who lead or influence policies affecting public-access computer labs in Africa, including government officials, private sector actors, influential non-governmental organisations (NGOs), bureaucrats at international institutions, and development aid organisations and donors. They carry the responsibility for long-term vision and planning to ensure effective and sustainable public access to ICT that brings concrete benefits to individuals, as well as society and the economy. Those who make determinations about the software that is rolled out in public-access computer labs are often in the position to drive change at a large scale; however, they are frequently also faced with complicated constraints that affect their choices. Usually their decisions impact more than just a few users in one local computer lab, but often tens or hundreds of computer labs and thousands of users. And their support for certain types of software can also have an impact on the broader social, economic, and political environment. The following recommendations are directed to those decision-makers who are setting policies that affect public-access computer labs in Africa. These can be used as guidelines during the decision-making process and provide background to the key issues. • Address the sustainability problem for public-access computer labs by better equipping them to deliver a social return on investment (improved education, healthcare, economic opportunities, etc.) that is worth subsidising over the long term. • Increase local capacity, and actively involve lab staff and managers in decision-making processes about software and other aspects of public-access labs. • When making software decisions that involve significant change (such as upgrading operating systems or migrating to FOSS applications), implement effective change management that addresses issues of training, process redesign and reluctance to change in public-access labs. • If you choose to promote FOSS solutions across society and the economy, focus on raising awareness about software use and benefits at all levels: decision-makers, community stakeholders, lab staff, and end users. • Focus on generic computer literacy skills to increase e-literacy broadly. • Conduct high-level surveys to determine user needs and encourage public-access labs to add local information collected from the communities they serve. • Encourage and support the development of locally-relevant applications that run on multiple operating systems. • Use public funds to create software that can fill specific local needs and be considered a public good. • Assess the need and availability of local language software and consider all available strategies for promoting its development. • Make use of web-based content (that can be accessed from a variety of different software platforms), if possible, to reduce the impact of the software choice. • Make smart choices about accepting software (and related) donations and keep public-private partnerships transparent. • Take all steps possible to ensure that sufficient technical support is available for large projects to be rolled out. • Analyse the Total Cost of Ownership in the specific local environment, rather than relying on general statements of the cost advantages of one solution. • Consider the pros and cons of diversity in the computing environment, to make balanced choices between increased costs on the one hand and increased value and opportunity on the other. • Increase Internet access to address the lack of applications and enable the use of online technical support. • If you choose to promote FOSS solutions across society and the economy, ensure that alternative software procurement and delivery models are available where cheap and fast Internet connectivity is not an option. • Fully understand the implications of software choices so you can leverage bargaining power to bring donations and other benefits to public-access labs. • Partner with the local computer labs to evaluate existing policies with regard to software choices and ICT use for public access. • Support open standards (such as open document formats) to minimise the impact of a rapidly changing technology environment. It is difficult to resist the appeal of concepts such as information sharing, collaboration, and freedom of knowledge, which are foundations of the FOSS movement. But in Africa, it is important to remember that FOSS is just one software option in the larger ICT toolbox. 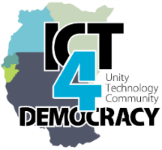 And ICT is merely a means to an end that is most valuable when it supports broad social and economic goals, such as facilitating healthcare delivery, making small businesses more competitive, or improving education and government services. In this context, the discussion of software choices necessarily moves from philosophical underpinnings to pragmatic concerns. Free/open source software is now enjoying widespread interest among government officials in Africa, and large international companies are contributing to its development and pushing for its adoption across the continent. Some proprietary software companies are also working to address the key problems in public-access computer labs. But meanwhile, specific software applications (whether FOSS or proprietary) that could make computers more useful to local communities are still missing. A number of key obstacles characterise the software choice for public-access labs in Africa. But perhaps more importantly, many ICT projects struggle with fundamental difficulties that go beyond the choice of software. In particular, labs need sustainable business models, regardless of whether they are using FOSS or PS. In the absence of profits, sustainability plans that are linked with the effective delivery of social services could make public-access labs worth subsidising over the long term. Should PS vendors pay closer attention to the practical problems facing public-access labs, and build on the commitment to deliver on social and development goals, their value proposition for Africa remains high. However, the momentum in Africa is currently in favour of FOSS, whose supporters are riding on a growing wave of enthusiasm based on successes in other developing countries. FOSS supporters in Africa have an opportunity to capitalise on this enthusiasm, but need to overcome serious hurdles to translate the hype surrounding FOSS into tangible benefits for larger parts of society. 1 While this report does not focus on specific proprietary software products, the general term “proprietary software” is too broad when used in combination with the issue of protection against computer viruses. This particular point is relevant for the Microsoft Windows operating system. See the section “Recommendations to public-access computer labs in Africa” for more information.